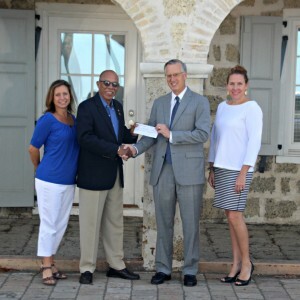 CHRISTIANSTED – Rotary Club of St Croix Mid-Isle said it is partnering with a local mortgage company to provide a college scholarship for a qualified student on St. Croix. The Rotary Club said that Ocwen Mortgage Servicing, Inc. is offering a four-year $5,000 per year scholarship to a deserving student from either St. Croix Educational Complex or Central High School. The scholarship offering will be based on a combination of student achievement and financial need, the creators of the fund said. “Ocwen Mortgage Servicing, Inc. (“OMS”) is committed to giving back to our local community through the support of higher education” said Tim Hayes, Executive Vice President of OMS. “We’re very excited to partner with the Rotary Club of St. Croix Mid Isle to provide this new college scholarship opportunity which will help make a difference in the lives of hardworking high school graduates. The Rotary provides a great service to our community and we applaud the amazing work that they do,” Hayes said. In addition, Rotary Mid-Isle will continue to offer its two four-year $1,000 Carlton Hodgson Memorial scholarships. These are awarded annually. Scholarship Application forms can be obtained from Rotary Club of St. Croix Mid–Isle at rotarymidisle@yahoo.com or by calling (340) 332-4451. Forms will also be available from senior school guidance counselors. Students are urged to avail themselves of this opportunity for obtaining assistance towards meeting their educational goals. Rotary connects 1.2 million members of more than 34,000 Rotary clubs in over 200 countries and geographical areas. Their work impacts lives at both the local and international levels, from helping families in need in their own communities to working toward a polio-free world. For more information, visit Rotary.